The story masterfully shows how seemingly ordinary traits can be extraordinary sources of strength and resilience. Christine M. Knight’s In and Out of Step reconstructs a late-1980s world rife with big hair, new wave clubs, and sexual harassment in the workplace—all as seen through the eyes of a deceptively plucky heroine. Fleeing a bad relationship and freighted with emotional baggage, Cassie Sleight lands a teaching job in a small, isolated town on the coast of New South Wales. It isn’t long until she discovers she’s leapt out of the frying pan and into the fire. Her students ignore her and seem resistant to any show of civilized behavior, much less learning, while the teachers’ lounge is dominated by a clique of male chauvinists, spearheaded by a particularly oily character named Talbut. Women teachers have learned to suffer in silence, while the male head of Cassie’s department takes a dismissive, boys-will-be-boys attitude. At her boarding house, Cassie feels like the awkward new girl among the other young men and women. Yet, despite the unpromising circumstances, Cassie never considers giving up on her students and remains determined to restart her life in the spot that fate has provided. The pace at which the story unfolds is uneven. The book runs long, and the first two hundred pages lag as characters from each realm of Cassie’s new life—students, faculty, and fellow boarders—are introduced in clusters, without enough action to make them memorable. After this long setup, the story begins to move. As Cassie becomes more engaged in her present, more of her past is revealed, and the slow reveal is the tension that drives the narrative. The book’s chief triumph is the development of Cassie’s character. By her own reckoning, Cassie’s major talent is staying calm. She’s reserved by nature, and these traits could easily make her a main character who seems weak or bland. Cassie is neither, and as she goes about leading disinterested students to the trough of learning and dealing with endemic sexual harassment, the story masterfully shows how her seemingly ordinary traits are extraordinary sources of strength and resilience. Also well developed are a handful of the characters introduced in the first part of the book who step forward to play a prominent role in Cassie’s story. Most notable is fellow boarder Mavis Mills, whom Cassie helps through a crisis; in so doing, Cassie gains perspective on her own past. In the last hundred pages, Cassie’s quiet and convincing story is replaced by a series of melodramas that blur the focus of the book, causing it to end with a rushed, somewhat unfinished feel. A glossary of Australian lingo, a character list, and a list of music mentioned in the story are helpfully included. 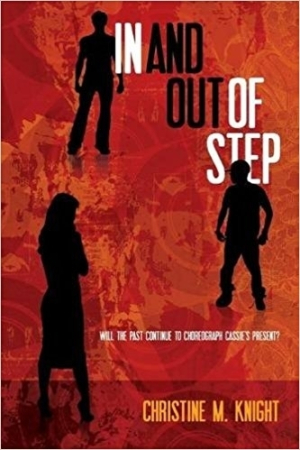 As the meaning of In and Out of Step becomes clear, Cassie shines more and more brightly; she is a compelling character who will not soon be forgotten.